Super love this idea. It shows how we care about the others. Thanks a lot for sharing!! Wow this is a fantastic idea! The basket is really a nice friendship basket, It is nice to receive a little token of appreciation from someone. I’ll be making this for my long-time best friend. Wow this is a fantastic idea! 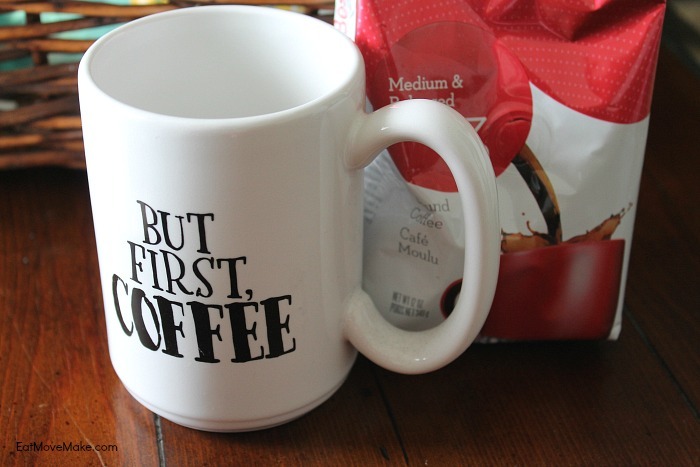 I especially like the But First Coffee mug. What a great gift basket idea! I think your friendship basket goodies are awesome choices. 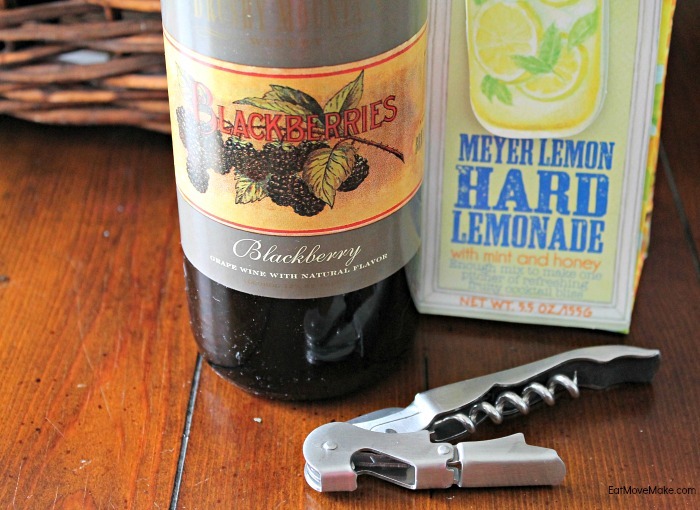 Thanks for linking up your post at the #HomeMattersParty this week. That’s a fun basket idea! I have a few lady friends that I think would love a friendship basket like this one! Not enough people treat their friends in my opinion. I think a little basket like this can be so uplifting, especially at very stressful times at uni/work. Neat idea. My friend loves coffee and coloring so I would definitely put a Starbucks gift card along with an adult coloring book and pencil crayons, She is very crafty so I would probably go to Hobby Lobby and purchase some craft supplies for her. Loving this idea! My sister is going through a really rough time right now so I am going to put one of these together for her tomorrow! I love this idea because you can really tailor it to the recipient and put their fave items in there.Makes for a super thoughtful gift,plus it’s fun to do! This is such a sweet idea. Inspires me to put a few of these together for my best gal pals! This is just beautiful and creative idea! Now I will be making something similar for my girlfriends too! I make these for birthdays for my gals. I normally add the “mix” tape too for memories we’ve shared with music. And wine. Need wine. What a cute gift basket! I knew you would be a great gift giver, but this basket is awesome too!!! If you ever get a wild hair and feel the need to send me one, feel free to do so. I love it all, except HOT stuff and olives/ blue cheese. haaaaaaaaaaaaa other than that.. YAY! lol, for real, great job, mama! This is lovely and such a good idea! And I also wanted to mention that the Wednesday “To Grandma’s House We Go” link party just started over at grandmashousediy.com and I thought you might be interested in joining it, thanks! This Is Such A Great Idea, I Love Giving To Others, This Would Be A Perfect Gift For My Friends. I love this, such a unique and different idea. This is great gift for anyone, I would be happy to get this from someone. What a great idea!! I want to make one for a friend of mine. This is such a cute idea!! I love that your best friend is your daughter and I’m sure this will be much appreciated! I LOVE baskets full of little bits I love! I would definitely include some of my friend’s favorite treats and maybe introduce them to a few of mine. I would also include an item that would make the smile or laugh, like the mug or a funny coaster. This is such a lovely and thoughtful idea. I’d see if I could add some kind of cheese in mine. I love this gift basket, such unusual ideas! 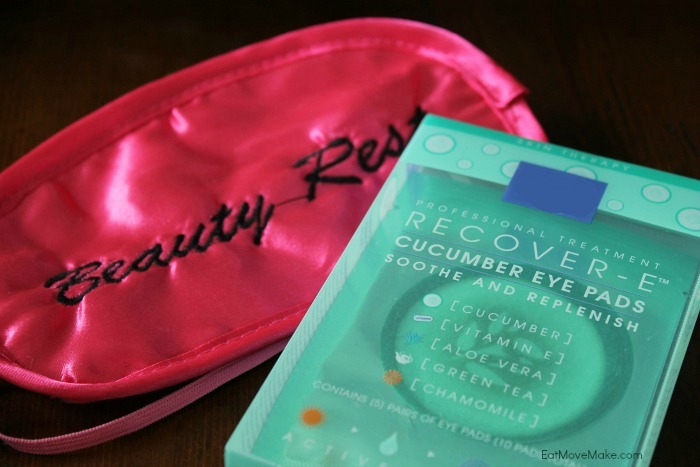 I love the pampering things, perfect for a relaxing night in with the wine! This is such a unique idea and one which is quite personal and very thoughtful. This is such a lovely idea! So many great products in the basket too. I would love to do something like this for my best friend. It would also be nice to receive one, too. This is a great idea. I would add chocolate to the basket I make because who doesn’t like chocolate? I have a friend I think I should do this for soon. She is always there for me and I need to show her how much I appreciate that. Great idea! What a great way to show friends how much you appreciate them. We don’t do this sort of thing enough! Awwww, I need to do this for my friends. I have two close ones who do so much for me and they deserve to be treated for it! What a lovely idea and a lovely thought! I wish someone would make a basket up for us! Looks great! Man, now this is a neat idea! I need a friend who would be willing to make me a nice basket like that. I love this idea, I wouldn’t mind one myself! What a great and thoughtful idea this is. I can think of many friends I could make one of your gift basket for this fall. I know you daughter’s thrilled with the contents. I am a definite Ricola person. It is the one product I would pay five times the cost for compared to others and never blink. I’d add those, a small jar of jelly, pencils and pens, stickers to put on gifts and envelopes, and a pack of Forever stamps for the people I know. What a delightful way to encourage thoughts about special gifts during the year. This is so sweet! I love your relationship with your daughter. This makes me want to be with her right now. Anyways, this is another great gift idea to make her feel extra special for her birthday which is coming up soon. I’m so sick right now and this would be perfect. Those riccola’s have my name on them! This is such a great idea. I’d definitely include a hand written note. And chocolates. Always chocolates. Omg what a cute gift idea!!! I just love getting gift baskets!!!! I would put Pepsi, See’s chocolate lollipops and peanut brittle in my basket. This is so sweet. I have so many friends that I know would appreciate this. Great idea! What a wonderful gift basket, your friend would be so lucky! I have few close friends and I like to give them gift baskets on Christmas. Mabe, I should try collecting items now. I love that mug. I like coffee and tea especially if I am busy at work. What a nice gift basket. I haven’t received a gift basket from a friend. Sounds lovely to receive one and to make one! I like your idea, very creative. This is a perfect gift for the holiday to my friends! I remember when I first got here in our place, one of my neighbors gave me a gift basket like this one. Looks lovely. I love this idea! So much fun. One of these would be perfect for my moms bff back home. I should do this for her for christmas this year, its always a struggle for me! This is such a great idea! I can’t wait to make one! I super love this idea! It is a great gift for new neighbors too! I will make some for our friends. What a great gift basket to make for a friend! I love that you can include anything in it like this! This is really a sweet gesture to brightens up a friend. I would add some books or movies to the basket. I love that you are so close to your daughter – that really makes life fun! Every month or so, I send my daughter that lives out of town some treats. She loves getting the mail and the treats so it never really matters what it is. What an absolutely awesome idea. You are a lucky mom, and by the looks of it, she’s a lucky girl! You have one lucky daughter. I wish my mom would read this so the next time she gives a gift, it would be well thought out and personalized. 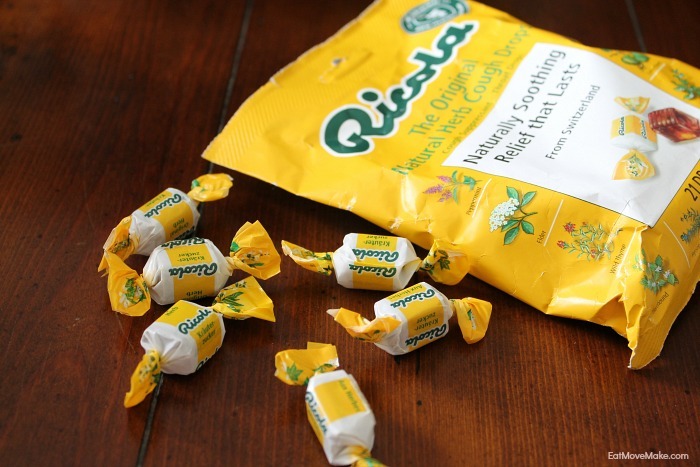 And oh, I love Ricola. Wish we have that here. friendship love basket, hmmmmmm. sounds great an idea for those good friends of our, hopefully this is getting a try from me soonest. This is such a fun idea! I would include some fab hand lotion I always keep in my bag! Of course, depending on who is that friend, but I will definitely include the mug. Maybe I will add dark chocolate bars too. This is such a great idea! I would love if one of my friends gave me this friendship basket! I absolutely love that coffee mug! I bet your daughter loves this basket! It’s such a great way to express so much for a person by choosing the things you put in it that give them that affirmation of your love or friendship. Personalized gifts are the best ! My dear friend is coming to visit for the holidays. I think I just might make something like this to put in the guest bedroom. Why not – it’s fun and memorable! This is a great idea! So sweet and thoughtful! Love that coffee mug too! This is a great and thoughtful idea! Thanks for sharing. This is such a cute idea. I need to makeb one for my best friend. She’s so stressed with back to school season. You’ve put so much thought and love into this basket. I can imagine the look of glee on her face as she receives it. My very first best friend is my cousin Joyce. She and I were the same age and shared a lot of things together while we were growing up. I will put together a friendship gift basket for her too. She’s a breast cancer survivor and I know she’ll love a bit of pampering after all those treatments she’s been through. What a sweet basket! This would be a really thoughtful gift to celebrate your friend, do you want to adopt me? I love coffee! 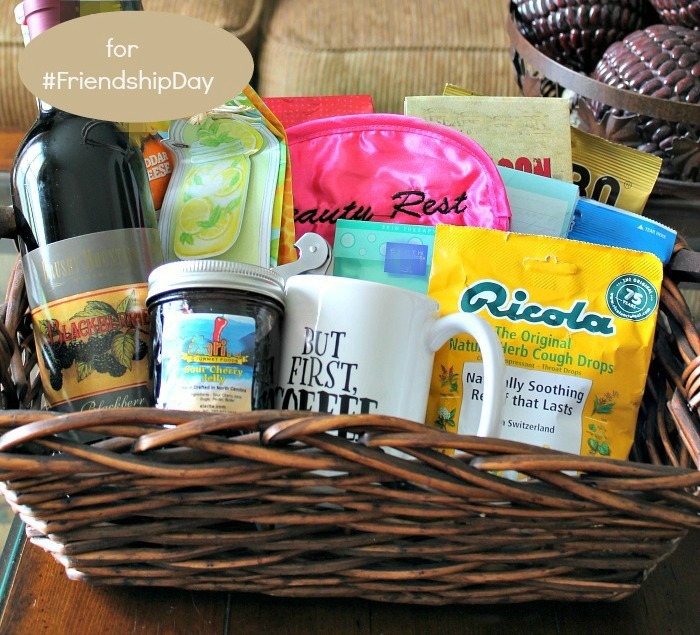 A friendship gift basket is a terrific idea! I would include my friend’s favorite snacks and drinks. I’d also include a puzzle, scented candles too. Our daughters will remain to be one of our bestest friends and it’s always nice to show them how much we appreciate them. This gift basket is so thoughtful and it’s really something that any one will appreciate. I’m sure your daughter will be so happy to receive this! 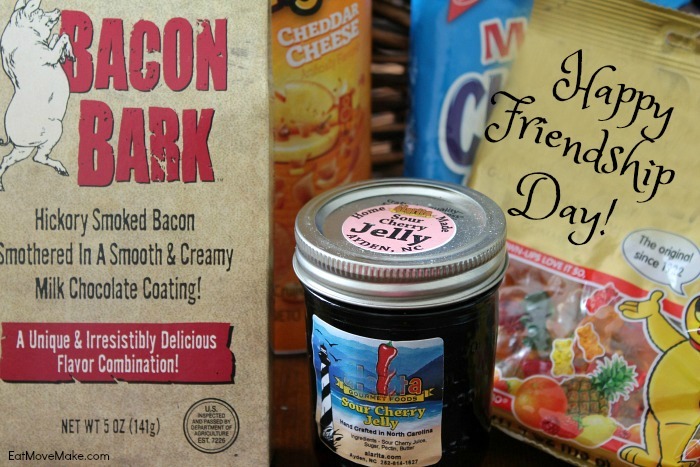 These are all great products to add to a Friendship Gift Basket. My friend loves to cook. I would add some nice sauces and spices to hers. I love the idea of a Friendship Gift Basket. I have a great person in mind to make one for. I will have to add sweet treats to her basket. A Friendship Gift Basket is a fantastic idea. I would have to add a ton of bath products. My bestie loves to relax in a nice hot bubble bath. That would be an extra special, cute, surprising idea. Such great items included too! You could tell time was dedicated in picking the right items. This is such a sweet gesture. I actually am a bridesmaid two times for next summer so this may be a good bridal gift, too! I can’t think of a more tender way to express your gratitude for a friend then to curate a basket with all of her favorite things to show her how much you care for her and value her friendship! Love this! Who wouldn’t love this as a gift?! Such a thoughtful one, with a lot of personalization put into to! Now that is a pretty epic gift basket. What a great gift to give a friend! This is such a nice idea. I should make a few of these for some of my close friends. I know this would make their days! What a great idea! I love this basket. Perfect gift for my best friend’s birthday! What a sweet way to show someone special you care. I would add a special friendship photo and a bit of chocolate to my bestie’s basket. I did something similar for a friend a few months ago. So much fun to send your friends gift baskets like that! I think it really makes their days better. 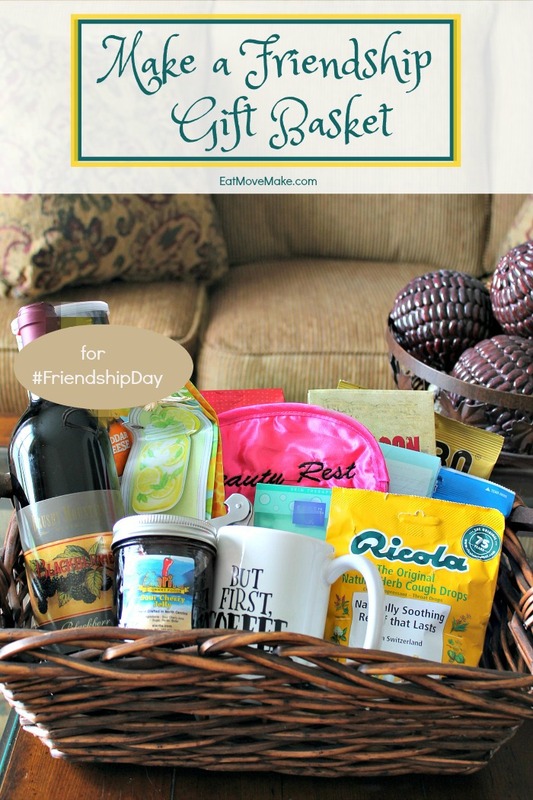 I love this idea of a friendship gift basket! I would love to have that coffee mug. That is so me. What a awesome and easy gift idea! My friends would love this! What a lovely idea, I would love to make a friendship basket for my best friend she would really appreciate it. Aaahhhhhh how lovely is that! What a great treat for a friend. Liz, this is so nice. It also gave me a flashback to those Ricola commercials! That is one awesome basket. Can I be your friend. I would say you have everything covered except maybe chocolate. Or did I miss that? What a great gift idea!! I love making baskets like this, so much fun to personalize the to the person you are giving to! What a sweet idea! I love making care packages for friends – this basket has me inspired for some new inclusions! What a thoughtful basket. I would love to do one for my daughter who are also my besties. I need to do something like this. They would love it. Thanks for the ideal Liz. This is such an extremely thoughtful idea to give to a friend. Right now we have a friend in the hospital and I know she would love something like this. I love this idea. This would be a great way to meet a new neighbor too. This looks like a great friendship gift basket. I would have to add the cup with coffee and some snacks like you did along with a couple beautify products. This is such a great gift idea. Thanks for sharing the idea. This is such a great idea! I know what I’ll be getting my best friend for Christmas! This is such a lovely idea and you chose some really nice goods for your daughter. I love the care you’ve taken with it, it makes it such a special gift. This is such a sweet idea! I would love to make this for a friend, this would surely brighten her day. This is such a cute idea! I’ll definitely have to make one of these for my friend’s birthday! Squee! This is such a great idea! I can’t wait to make one of these for my bestie! It’s so nice to let good friends know how much they mean to you! Love this idea! I know I would love to receive one of these, so giving one to someone knowing they will enjoy it is a great feeling! I love how you made the friendship basket tailored to your daughter’s interests. I really want to get some of that bacon bark now too! 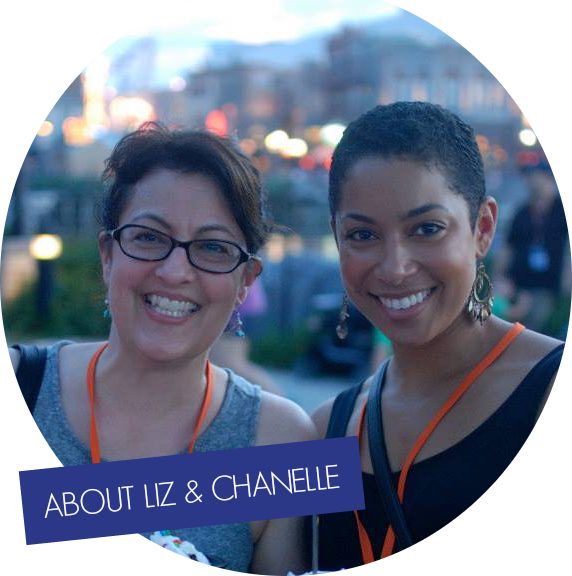 Love this idea, Liz, and my daughter is also my bestie! It’s amazing when we have such a close friendship with our children. What I think I really appreciate most about what you shared, is that you were sensitive to what is important to her and made sure to include lots of items she would enjoy. So often when people buy or make gifts for friends, they buy what they would like or ‘think’ the person would like, without zeroing in on what the person would really like. Great idea to show someone you care and that you know them well too. This is such a lovely, thoughtful thing to do – I think food is good for baskets like this in any situation! This is great idea! Im going to make my bestie one for sure. I would love to put in a couple gift cards for movies, coffee and lunch. Very sweet! You have inspired me to do this for my friends. Such a terrific idea!! This is such an cute idea! It’s very clever. So glad that you shared it. That is such a cute idea! Things like this are a great way to let someone know that they’re special to you. I’ll be making this for my long-time best friend. How sweet that you chose your daughter for friendship day <3 My mom is definitely one of my best friends. I love everything you picked out, you really covered all the bases! Very thoughtful and carefully planned. I’m the same when I make baskets, I try get things that people love and make it personal, I feel to make a few this Christmas. That’s wonderful friendship basket. Love everything in it, especially the coffee! That’s really sweet and thoughtful! I think it’s nice that you thought about the things that she would normally want! This is definitely going to make anyone happy. This is such a great idea for something to do…even on a different day just because. I love the idea and inspiration! Baskets like this are great! It is nice to receive a little token of appreciation from someone, no matter what the occassion! What a lovely basket. I know my friends and I would do this for each other too. I’d add a gift card to our favorite watering hole! I mean mexican restaurant. Aww, this is sweet. What makes a friendship basket a nice idea is that you can personalize it with items that your daughter or your friends will love. I’d put make-up and travel items in my friendship basket. It’s something that my girlfriends are into right now. A friendship basket is a great way to let your friend know that you care about that them. I am sure your friend will love this basket. I might have to make up some for my friends. I think a friendship basket is a really great idea! I love surprising people with special things. My good friends including my daughters all love coffee and chocolate, so those would be in a basket for sure. I love this! Such a great idea! I also need that coffee mug for myself!